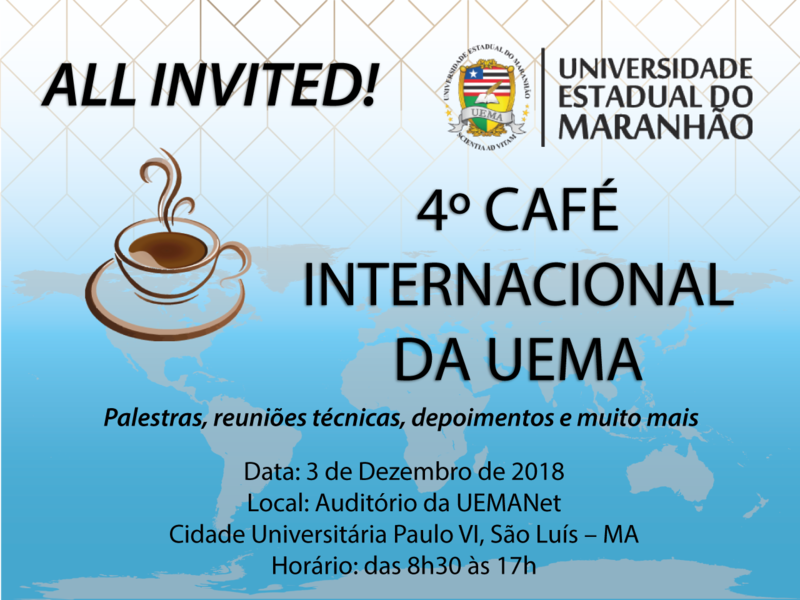 The State University of Maranhão (UEMA), by means of Office for International Relations (ARI), will carry out the 4th edition of International Coffee, on December 3rd, 2018, at UEMANet Auditorium. 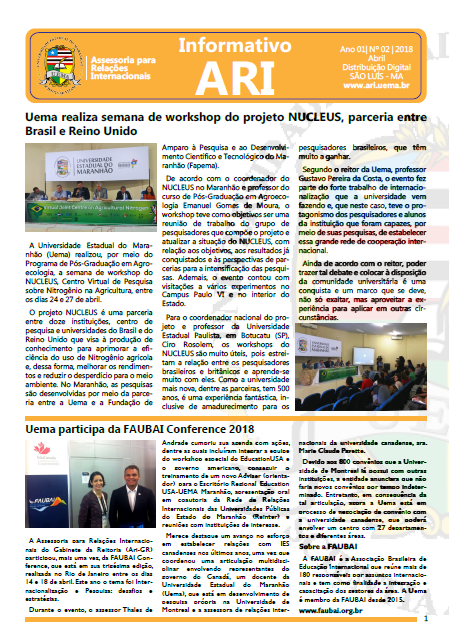 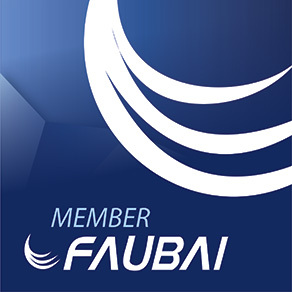 Download the programme here (in Portuguese). 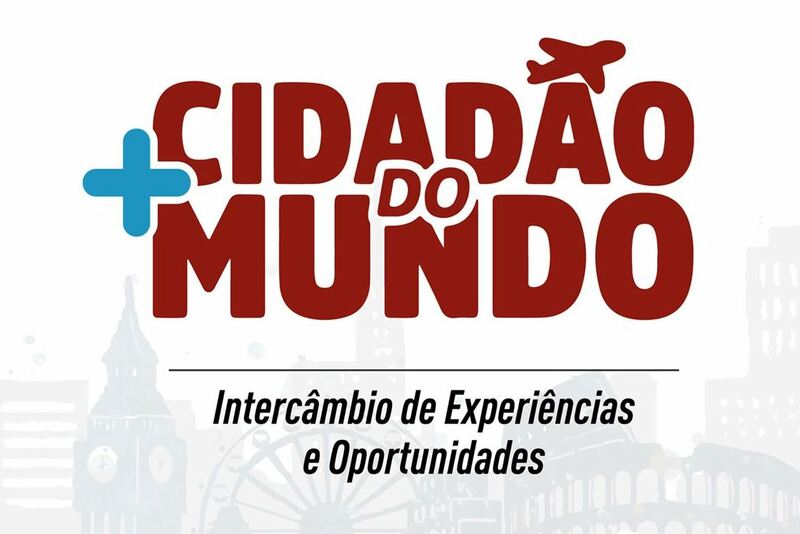 The free event aims to gather students, professors, researchers, professionals, managers and representatives of center of languages in order to advise on international mobility and to inform the activities developed by the ARI in the UEMA’s internationalization process. 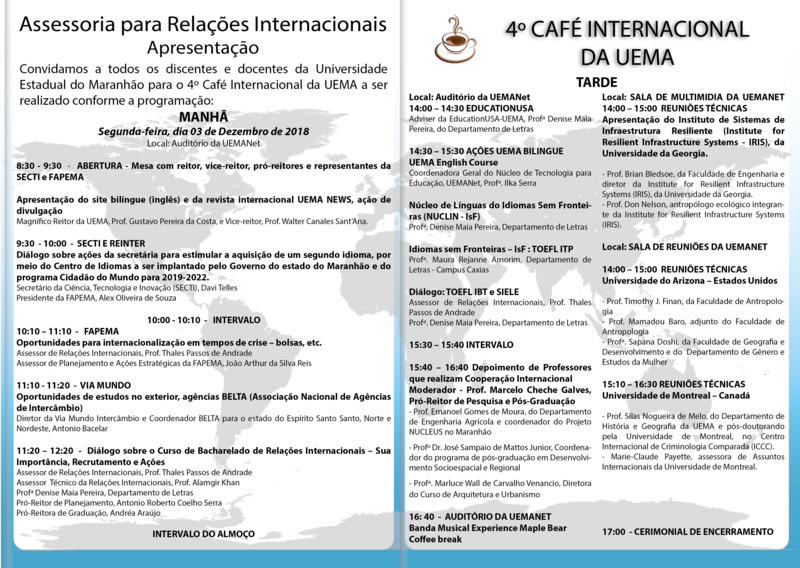 The programme is composed by lectures about internationalization in times of economic crises and actions for the development of Bilingual UEMA project; technical meetings with representatives of institutions from USA, Canada, Israel; testimonies of UEMA’s professors who accomplished International Cooperation, among others activities. 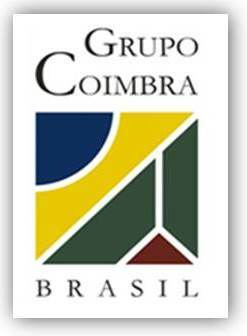 The opening ceremony will happen at UEMANet Auditorium, at 8:30 a.m. At the occasion, the ARI bilingual website and the international magazine UEMA News will be presented.